Experience the day that changed life on Everest forever. April 2014. It’s tourism season for Mount Everest, the world’s highest peak and amongst the many expedition groups, New Zealander Russell Brice is in the thick of preparing for his international clients. Like all the mountaineering groups, Brice employs a number of Sherpas — a bunch of Himalayan people who work tirelessly to setup pathways, equipment and generally make the harsh ascend a little safer and more palatable for foreign climbers. Amongst these hard-working locals is humble star-player Phurba Tashi, who at 53 years of age, still chooses to continue the dangerous work, despite much pleading from his long-suffering wife Karma Doma. Just when the Sherpas begin to setup a trail across one of Everest’s many threatening crevices, disaster strikes and a stand-off arises between a newer, younger generation of Sherpas and the foreign expedition employees, the aftermath of which will change the business operations on Everest forever. What is it about Mount Everest that drives people to climb its hazardous slopes? You may recall the blunt honesty of last year’s Everest (2015), which answered the question with the simple answer ‘Because it’s there!’ Sherpa has another equally blunt direct response — money. This documentary goes into the fascinating development of Mount Everest as a business, one that seems to be growing to the point of being unsustainable — in terms of personal cost as well as environmental. I say personal cost because there have been many deaths that have already occurred and more (likely) ahead, due to the sometimes rapidly changing weather conditions, which, even with the latest research and technology, can sometimes be unforeseeable. At the heart of the foreigners’ ambitions are the unsung heroes — the Sherpas. Director Jennifer Peedom, Living the End (2011), celebrates and champions these highly disciplined climbers, who barely get the sort of acclaim they deserve from their international clients. Peedom illuminates how overshadowed these hikers have been from the get-go, this harking back to 1953, when New Zealander Edmund Hillary successfully reached Everest’s summit with the aid of Sherpa Tenzing Norgay. Despite occasionally sharing the spotlight with Hillary, Norgay came to regret the climb and held a grudge against the foreign mountaineering industry ever since. Peedom and editor Christian Gazal, The Little Death (2014), develop the narrative with great patience and underlying tension, opening the film with hints of the impending disaster whilst building a genuine rapport with the central characters and their lives. As a result, the risks ahead become tangible on a subjective level — surely viewers will be rooting for Tashi to endure. The cinematography is a solid combined effort from Renan Ozturk, Meru (2015), Hugh Miller, Lou (2010), and Ken Sauls, The Wildest Dream (2010), the trio capturing the awe and intimidating beauty of the iconic mountain, however special mention goes out to the brilliant sound design accompanying their images. Sound designer Sam Petty, The Rover (2014), has superbly rendered the atmospherics and dynamics to make the most of the surround sound possibilities, making the point-of-view shots of Sherpas crossing risky dips incredibly nerve-shredding. 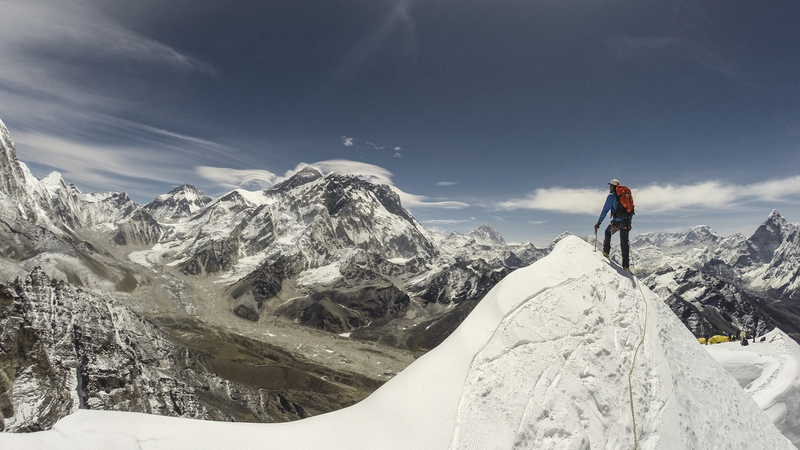 As such, those intrigued to catch Sherpa in cinemas won’t be disappointed by its presentation. 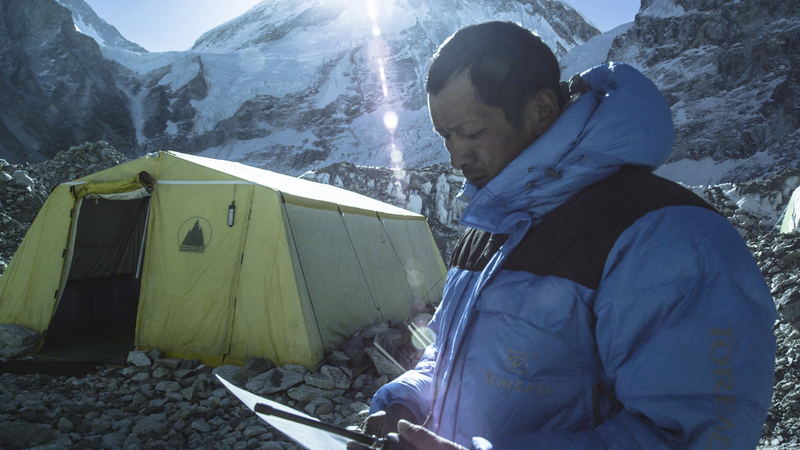 By focusing on a subject that’s scarcely discussed, Sherpa makes an excellent and original contribution to the library of documentaries regarding Mount Everest and the people who choose to scale it. The resulting narrative is suitably personal and epic in its ramifications. For those hypnotized by ‘Chomolungma’ as the locals call it, Sherpa is an easy recommend.